Here’s how to save thousands of dollars in taxes – even the taxes you aren’t aware of! You already know how important it is to accumulate wealth during your working years to ensure you won’t outlive your money in retirement. 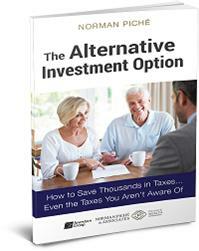 The confusing part is knowing how to access your money in your retirement years in a tax-efficient manner. We help people just like you save thousands of dollars in taxes by helping you re-position your retirement assets to minimize your tax liability, allowing you to keep thousands more of your dollars. Please enter a telephone number if you would prefer to receive your results by telephone. To order your copy on AMAZON, click here! Or contact us today for your FREE copy!